Inventing a product that is wildly popular is not usually a setback for a technology company. But that is the difficulty facing Juul Labs, the San Francisco start-up behind the best-selling US ecigarette. Juul is the Nespresso of vaping — a sleek device that works with a collection of flavoured pods, including mango and cucumber, to deliver an intense hit of nicotine in a cloud of vapour. Two landmark reports about drugs and harm reduction have been released in the past few weeks: Regulation: The Responsible Control of Drugs by the Global Commission on Drug Policy, the organization of former world leaders; and No Fire, No Smoke: The Global State of Tobacco Harm Reduction by Harry Shapiro on behalf of Knowledge-Action-Change, a health agency associated with the Global Forum on Nicotine. Put them both on your must-reads list. The report by the Global Commission is the latest in a series published annually since 2011, while the report on tobacco harm reduction (to which I contributed as a key informant) is the first of its kind. Dimitris Papadimitriadis sums up the state of debate over harm reduction, first being derogatory, and then blocking Dr Konstantinos Farsalinos when challenged on his opinions about vaping. It would appear that Papadimitriadis cares more for taking moody Instagram pictures than he does for the health of Greece’s smokers. In a letter to The Society for Research on Nicotine and Tobacco, published in the Nicotine & Tobacco Research journal, M. Ward-Peterson and W. Maziak (Florida International University, Miami) write “For Smoking Cessation, E-Cigarette Flavours Aren’t Required”. The pair plies their trade in the Department of Epidemiology at the Robert Stempel College of Public Health. Their pay-walled letter carries a combination of ridiculous statements and laughable propositions. Die COP8 der WHO FCTC in Genf ist vorbei und schon sind deren (negative) Auswirkungen zu spüren. The FDA sent a warning letter yesterday to a Chinese company selling e-liquids that violate multiple sections of the federal Food, Drug, and Cosmetic Act. In a statement and a series of tweets, FDA Commissioner Scott Gottlieb portrayed the warning as part of the agency’s efforts to reign in the U.S. vaping industry. “This action is part of FDA’s broader effort to regulate the safety of vaping products, and crack down on misleading claims and illegal and dangerous e-liquids that may entice youth or put consumers at risk,” said Gottlieb in a statement. The study, published today in Addiction and funded by Cancer Research UK, is the first of its kind to look at the use of e-cigarettes, which includes vape pens and vape mods, by socioeconomic groups at the population level. The research team analysed data from over 80,000 adults in the UK aged 16 or over on a monthly basis for four years from 2014, which marked the time that use had stabilised after the initial rapid rise in e-cigarette use at the beginning of the decade. For the second time in two years, I sat in the public gallery at a United Nations conference in Geneva as a senior UN bureaucrat told us that all members of the media and public were to be barred from the proceedings. This particular occasion was one of the UN’s biannual sessions to update the World Health Organisation’s Framework Convention on Tobacco Control (FCTC). That could soon change. The Dutch health minister, Paul Blokhuis, wants to fast-track plain packaging through the Dutch parliament. He also wants to introduce minimum pricing so that the price of a crate of beer doubles from €10 to €20. Stoptober is timely for Senior Lecturer Alexis Bailey who has presented preliminary results from his research on e-cigarettes at SRNT, the top nicotine and tobacco research conference, in Munich last month. There has been a meteoric rise of electric cigarette use in the UK since their introduction in 2006. In the UK, e-cigarettes are used by smokers to help them stop smoking as well as by former smokers, and it is estimated that there are 3.2 million e-cigarette users in the UK alone. Nine out of ten New Zealanders believe adult smokers should have access to alternative products if shown to have the potential to reduce the risk of smoking compared to cigarettes, according to a new survey*. The Ipsos survey, commissioned by Philip Morris International (PMI), reveals that 75 per cent of the 1000 New Zealanders surveyed also believe the government should do all it can to encourage adult smokers who don’t quit cigarettes to completely switch to better alternatives. The Heart Care Foundation of India (HFI) has thrown its weight behind harm reduction and vaping – despite the government coercing anybody and everybody to oppose the safer way to consume nicotine. HFI is to be praised for taking the correct stance on this matter and prioritising the health of the population over tobacco company profits. HFI was set up in the mid-1980s to increase awareness of all aspects of health, for everybody no matter their status or income. Such is its work valued that the government has commemorated it on not one but two postage stamps. In her policy address, Carrie Lam proposed a ban on the sale of e-cigarettes in the city, fearing possible harm to health and abuse by youngsters, but one measure has already achieved results. Chief Executive Carrie Lam Cheng Yuet-ngor has taken ownership of the government’s decision to abandon a plan to merely regulate e-cigarettes and other new smoking products, the long-term health effects of which are unknown. Instead, Lam said in her policy address she had decided to ban the sale of them altogether in the interests of public health. 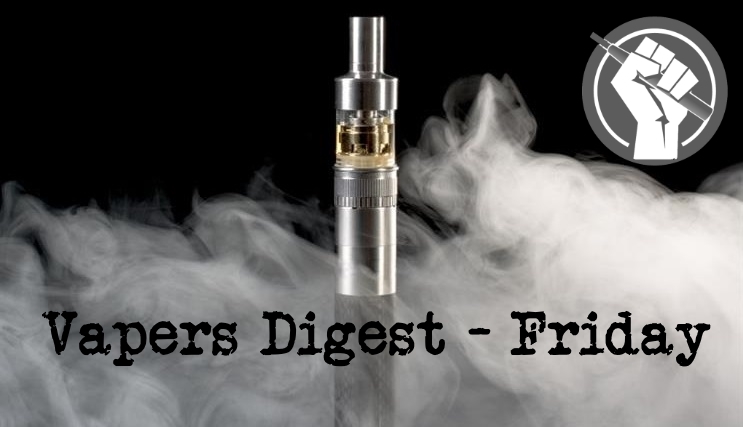 Recently, the FDA ordered five brands – Juul, British American Tobacco’s Vuse, Altria’s MarkTen, Imperial Brands’ Blu E-cigs, and Japan Tobacco’s Logic – to submit their plans of discouraging use of their products by teens within 60 days. On the face of it, an FDA crackdown on e-cigarettes – one of Altria’s fastest growing segments – should worry investors. In France, smoking cessation experts have forgotten all about vaping as part of their “Mois Sans Tabac” campaign. Over the border, in Germany, just one-third of the population appreciate that vaping is safer than smoking. Canadian CBC News are conveying lies about “Big Vape” to their viewers. Chicago is sticking the boot into eliquids, and its hand into vapers’ pockets. By FDA CTP & National Cancer Institute Regarding Smokeless Tobacco? “A majority of adults do not think smokeless tobacco is less harmful than cigarettes,” according to a study by the FDA Center for Tobacco Products and the Tobacco Control Research Branch of National Cancer Institute (abstract here).